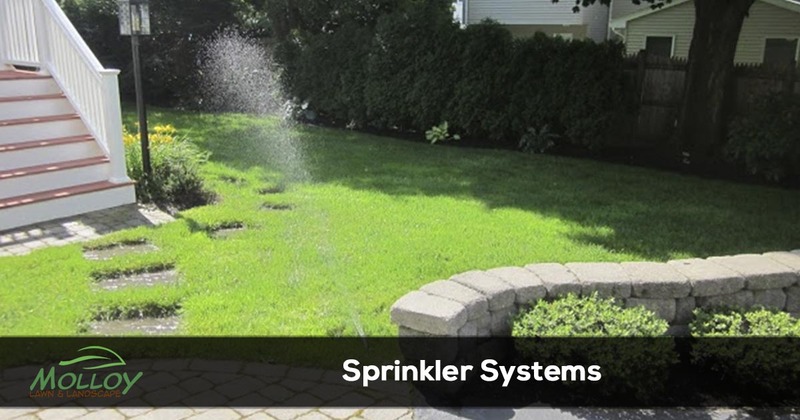 Molloy installs and maintains automatic irrigation systems. We know the most effective and efficient ways to keep your landscape beautiful. Molloy uses proven quality parts on every installation. An irrigation system installed professionally and serviced regularly can maintain your landscaping cost effectively and give you more free time to enjoy your home. A professionally installed low voltage landscape lighting system will simultaneously increase the security, safety, beauty and resale value of your home. Landscape lighting installed by Molloy Lawn & Landscape can help you discover your home's full potential. Molloy Lawn & Landscape ensures that your home looks it best at all times. Need to schedule irrigation or outdoor lighting services? Give Molloy Lawn & Landscape a call at 617-333-6900 or request a free quote online today.